If you are interested in doing online surveys for money, you might have heard of Univox Community. But are Univox Community surveys worth it or a scam that is just a big waste of time? I have thoroughly tested the site myself, and in this Univox Community review, I will share my experiences with you. I will give you an inside look and show you all the details you need to know, so you can easily decide, whether it is a site you want to join or stay away from. What is Univox Community and what does it offer? Univox Community was founded at the beginning of 2011, so it has been around for a while, which can be seen as a good sign. 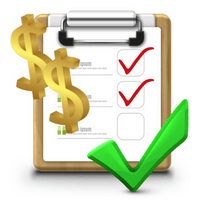 It is, first of all, a survey site as this is the main way to earn there, but it also offers a few other options. So let’s start by going over all the options it has a how good each of them are so you can see if it will be worth your time or not. As mentioned, paid surveys are the main way to make money on Univox Community. In general, I love when sites offer paid surveys, as it is a great way to have your opinion heard and earn some cash at the same time, in my opinion. However, in my experience, Univox does not have as many daily opportunities as many other survey sites. It can, however, vary from country to country, so you might have more opportunities than me. But do not expect a huge amount of surveys in general. The surveys that are there pay decent in relation to time for a survey site, so if you are in a country where Univox offers many surveys, it can make a little extra money. But just be aware that you will not qualify for all the surveys. Sometimes it can take patience to find the once you qualify for. However, you do get a small amount of points if you screen out for several surveys. It will not be very much, but at least nice to get something for screening out. 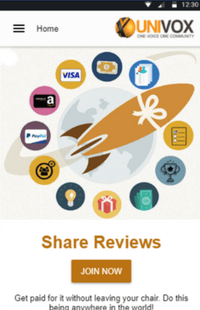 In addition to paid surveys, Univox Community regularly offers contests. These are free to participate in. To find out which contests that are available, you have to keep an eye on their social media accounts and sometimes they are also posted in the forum section of the website. 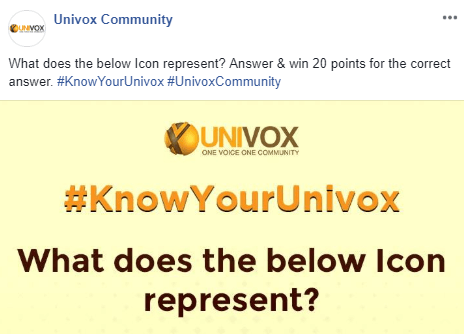 Example of a Univox contest posted on their Facebook page. I personally find their forum quite confusing so, in my opinion, it is easiest to keep an eye out for the contests on their social media channels. It can for example be a quick little quiz or a challenge where you have to write a bit more. Or as the image above shows, where you have to answer a question about Univox. In general, the contests do not take long to participate in, and they are of course free. The rewards depend on the contest, but they are usually not huge very big. There is also another kind of contests on Univox Community called the “surprise me” contest. Regularly, a few winners are chosen that will receive a little extra reward. The rules are not completely clear, but the winners are supposedly chosen based on survey activity. So if you are active on the platform, there is a greater chance you will win. Again, do not expect it to be a huge reward, but a little extra reward is also nice once in a while. But you do have to be quite active to get near this reward. As the name suggests, Univox is trying to create a community and not just a place where people take surveys. One of the ways this is done, is by having a forum where people can post questions and communicate. Some of the forum categories. Personally, I do not find it very successful and I am not impressed with how it has been attempted to make it into a community. The options the site has as a community, I do not find very interesting. But that is, of course, a matter of opinion, and maybe you like it. It does, however, not seem like a very active community in this sense the word is usually understood. You can invite friends and get a little bonus if they join. You will get $1 for each friend that joins and do at least 1 survey or attempts 10. After that, you will get 10 cents every time your friend takes a survey. Many survey sites have this kind of referral programs, and it can be a nice way to make a little extra. But the program on Univox is not as good compared to the program on sites like for example PrizeRebel or ClixSense. The rewards are not very high for the invite a friend option on Univox Community, and also it does not offer that many opportunities in general, so it will be difficult to get many friends to join and participate actively in my opinion. There is a section on Univox called “wall of fame”. This is two different leaderboards with the most active member of the day and the most active member of the month. The wall of fame bonuses for the monthly winners. Every time you do something on Univox, you will earn points in your engagement score. It is this engagement score that will determine your rank on the leaderboard so it is not just about the amount you earn. The reward you get if you finish in the top of the leader board will depend on your membership level. There are four types of membership: Basic, Verified, Premium, and Ambassador. You move up levels by being active. The daily wall of fame reward is between 25-200 points depending on your membership level and there is only one winner. For the monthly wall of fame, there are 20 winners. The rewards range from 25-600 points (see image above for details). If you are an active member, this is a nice bonus even if it is not huge. How do you get paid at Univox Community? Every time you do a survey, you will earn points. These points can then be exchanged for cash to PayPal, Virtual Visa, Tango card, or Amazon Gift cards. The Univox Community reward options. So the reward options are pretty good, and personally, I prefer sites that have PayPal as an option, as it is such an easy way to get paid. You will be able to request a payout once you have reached 2500 points as a basic member. That is equivalent of $25. This is actually a pretty high payout threshold for a survey site, and I personally prefer it lower. But if you get to ambassador level you can get a payout when you have earned $10 which is a better threshold. If you attempt to do a survey and do not qualify, you will still get 5 points. It is equivalent of 0.05 cents, so it is not a lot, but better than nothing:-). When you join, you can fill out some initial profile information about yourself. It will take you around 10 minutes to fill out, and you will get 200 points for it as a joining bonus. That is an ok joining bonus for a survey site. To be able to eventually request a payout, you have to remember to apply for an approval of your account. It can take up to 15 days. You can do it under the tab “redeem points”. It does however not say anything about how they decide whether you are approved or not. So if you are interested in using the site, make sure to apply for the approval and ask them why if you are not approved. Also, you have to be aware that your points can expire, if you are not active. There is no information on the site about how long you have to be inactive for your points to expire. So if you are using the site, I will recommend getting a payout as soon as you can, so you do not end up suddenly losing the points. What kinds of memberships does Univox Community have? I have shortly mentioned already that Univox has 4 levels of users. You will start as a basic user, and can get a higher level when you have more activity. 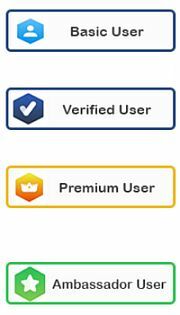 The 4 levels are: Basic, Verified, Premium, and Ambassador. There are 4 membership levels on Univox. It is not easy to find out exactly what the advantages of each level are, and how you get to the next level. The more active you are, the higher level you will eventually get. The advantages I have been able to find are that you get a lower payout threshold at higher levels, it does not take so long to get paid, you will get more survey invites, and you will have higher chances of winning the contests. So it could seem that it can be worth getting the higher memberships. The challenge is however to find enough opportunities as a basic member to eventually get to the next levels. 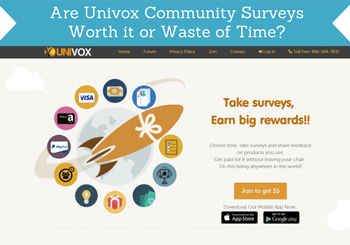 Most surveys on Univox Community take between 10-25 minutes. But to be honest, I have only been offered very few surveys. So I cannot give a certain statistics about how much time you need to spend to make something of real value. It depends very much where in the world you live, but for me, there are very few surveys. And according to feedback I have heard, it looks like I am not the only one with this problem. It will for sure not be able to make you a full-time income, and if you want to do paid surveys. But it can be a way to make a little extra cash if you are patient. Univox Community has its own app you can download and thereby be able to take surveys on the go. The Univox Community app makes it easy to use the platform on the go. In general, I love when survey sites have an app, or if they are optimized to be used on mobile devices. It is very practical and a great way to earn whenever you have a little extra time throughout the day. So Univox is definitely easy to use on the go. The app does, however, not give you extra opportunities. It just makes it easier to take the surveys on your mobile – but if there are no surveys for you on the platform when you use a computer, there will also be no surveys in the app. But if you like Univox Community and already know it gives a good amount of surveys in your country, then the app can be worth considering and be a way to get easy access to the surveys. Who can join Univox Community? Univox is available in 17 countries. The site does, however, not mention which countries that is. Usually, survey sites have a FAQ section where you can find information about things like this before you join. But Univox does not have such a section, and it is in general difficult to get much information about the site before you join, which is a bit strange in my opinion. So you kind of just have to test to see, if your country is allowed, if you are interested. But I know for sure it is available in the USA, Australia, and Canada as I have been told this. You have to be at least 13 years old to join. It is always important to be able to get support for a survey site if you should need it. I have not needed to contact Univox myself but from what I have been able to research my way to, there are quite different opinions about how the Univox Community support works. I have seen some complaints about the support not getting back and others say that the support is responsive. I also took a look at their Facebook page and the reviews there. Here some of the people that had issues got a very quick answer while others did not get an answer. So it does seem like the support might be a bit inconsistent. So my suggestion is that you keep contacting them if you do not hear back quickly as the support clearly is active at times. Also, there is a phone number you can call on the website. That is actually quite unusual for a survey site to have a phone number displayed clearly. So you can also try this if you should need support at some point as a member of Univox. Univox Community is definitely a legit site to join and it offers legit payout methods. But is it worth joining or waste of time? Let’s finish this review by summing up the pros and cons to give you a better overview before you decide. Univox Community can be a way to earn a bit of extra cash by taking surveys and doing a few other activities. How good the opportunities are, depends a lot on the country you live in. Overall, it can take some patience to earn there but especially if you like earning on the go, the app is an easy way to use this. In my opinion, it should, however, not be the only survey site you join as the amount of opportunities will then be too limited. I would, therefore, suggest you to also check out the best survey sites in your country to join in addition to Univox. How to join Univox Community? It is easy to join Univox. Just click the button below, choose your country, and you will be taken to the sign-up page. It only takes a few minutes and you will then get your $2 joining bonus. If you have any comments, questions, or have any experiences with Univox Community yourself, I would love to hear from you in a comment below. Univox Community is a paid survey site where you can also earn in a few other ways. It will not make you rich and sometimes it can take patience to find the surveys you qualify for. But it offers good payout method, is very easy to use on mobile because of its app, and with a bit of patience, it can be worth joining. Thank you very much for sharing your experiences Howard. Great for others to see, and can help them see, if it is the right site for them. Thanks for sharing your review of Univox Community. It seems that there are more and more survey sites where it is just practically impossible to get qualified for a survey and if you manage to get qualified for one then it doesn’t always pay much and it may be a long time before you get qualified for another one. That is very odd that Univox Community does not list any of the 17 countries in which you can take surveys. To me that is a sign that it just might not be worth it to join them. In general it is also not one of the sites that I would recommend, as there are many survey sites that are better and give better opportunities.